It is Christmas Day in a small town in Germany. At the Stahlbaum's house, guests are gathering for a party. 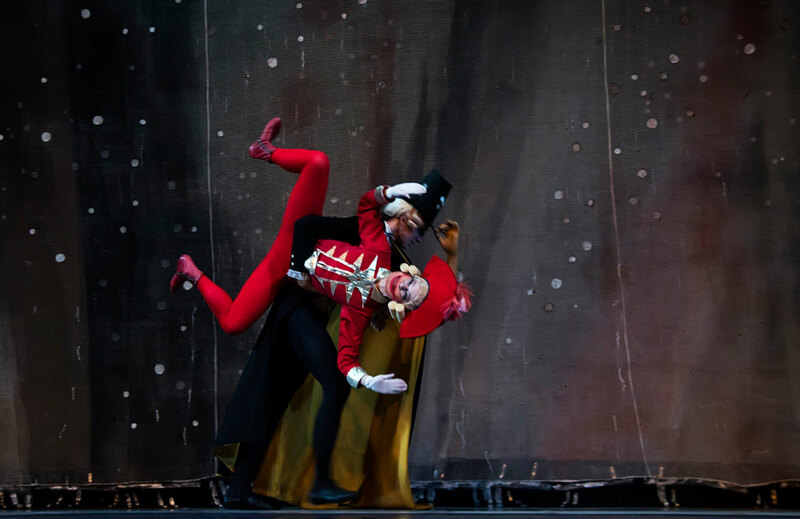 Drosselmeyer, who is godfather to the children Fritz and Marie, is bringing a magnificent present: Nutcracker, a doll who can crack nuts. Anxiously, the children wait for the Christmas tree lights to come on. At last it happens - and the tree's beauty mesmerizes them. Drosselmeyer arrives, but he's disguised as a magician, so the children don't recognize him. They're amazed at the way this stranger can make dolls come to life, but they're also a bit frightened because it's all so strange to them. To calm them down, Drosselmeyer takes off his mask and the children recognize him as their godfather. Marie wants to play with the amazing living dolls, but they've already been taken away. 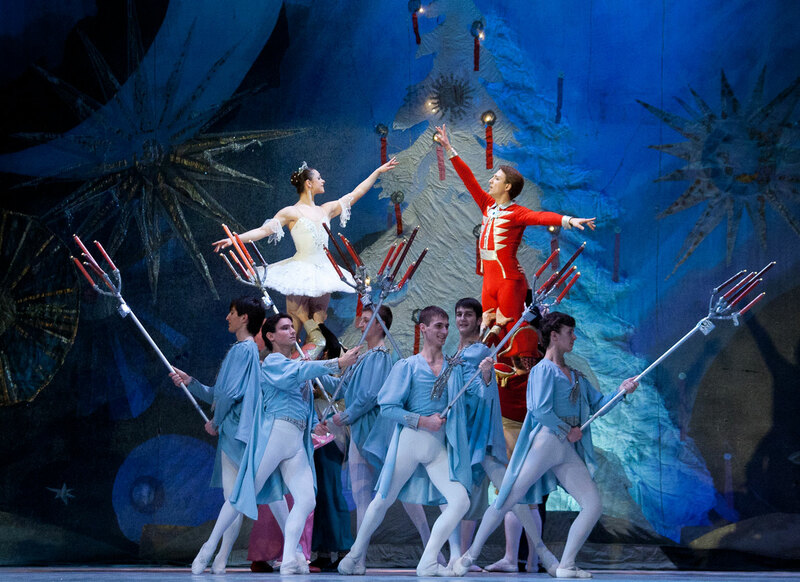 To stop her being upset, Drosselmeyer gives her the Nutcracker doll. She's very pleased with it. But Marie's mischievous brother Fritz accidentally breaks it. She is heartbroken and takes the doll she loves so much in her arms, cradling it like a baby. Fritz and his friends put on mice-masks and tease Marie. Meanwhile, the last dance has been played and the guests are leaving. Night has fallen. The Christmas tree is brightly lit. It seems to be a magical tree, full of surprises. 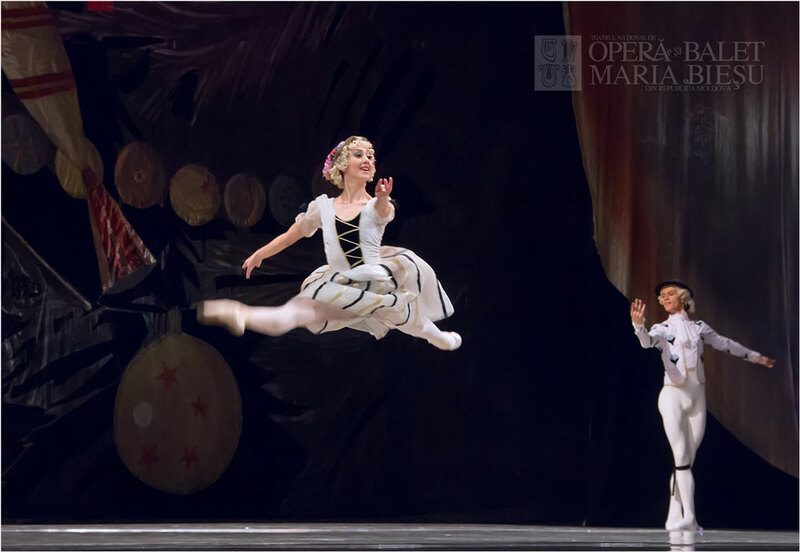 Overcoming her fears, Marie enters to see her injured Nutcracker doll. Then she falls asleep, holding him in her arms. 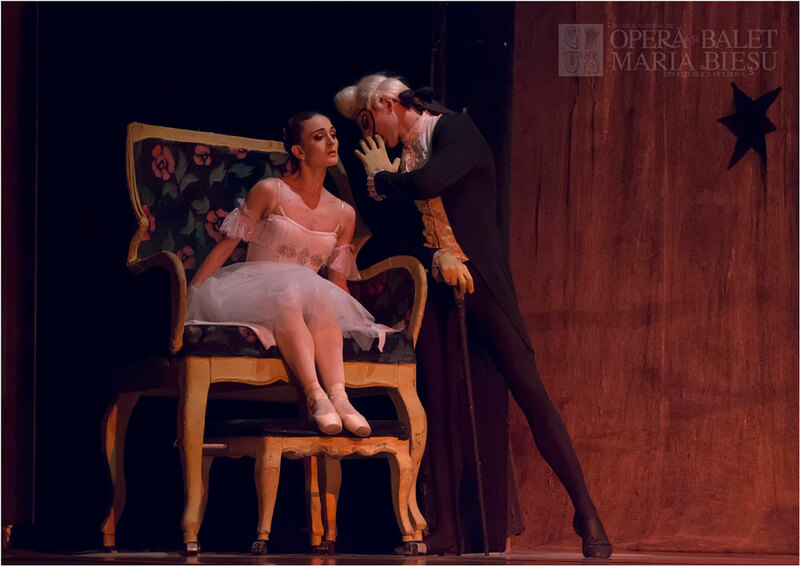 She has a marvelous dream, in which Drosselmeyer is not just her kind godfather, but a real magician. He waves his magic wand and everything around them changes: the room gets bigger, the tree starts to grow and the toys come to life. Suddenly the Mouse King enters, with his Army. 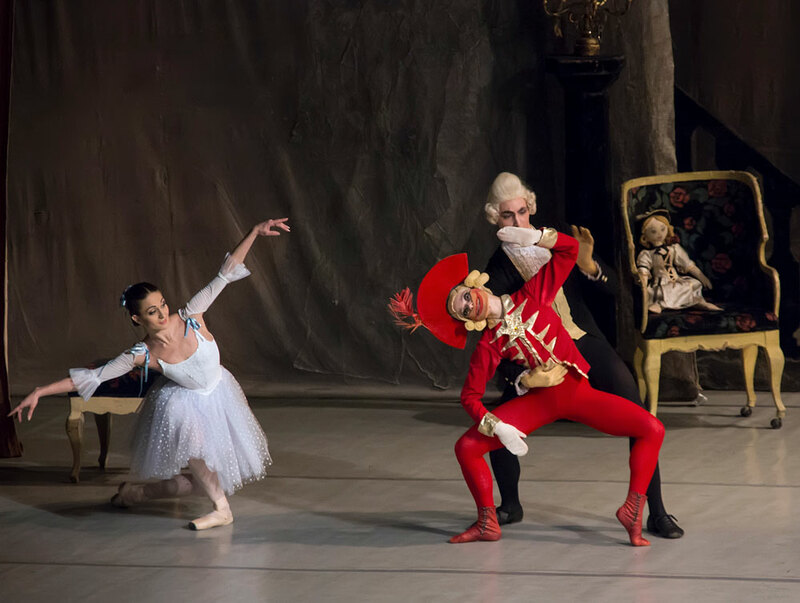 The dolls are frightened but Nutcracker comes to their rescue and leads his soldiers against the mice. But he's outnumbered and eventually he's the only one left to fight the Mouse King and his Army. Marie is upset to see her favorite doll in such danger, so Drosselmeyer gives her a lighted candle, which she throws at the mice. They scatter, terrified. No one is left, except for Nutcracker, lying still on the floor. Marie and the dolls rush to help him. 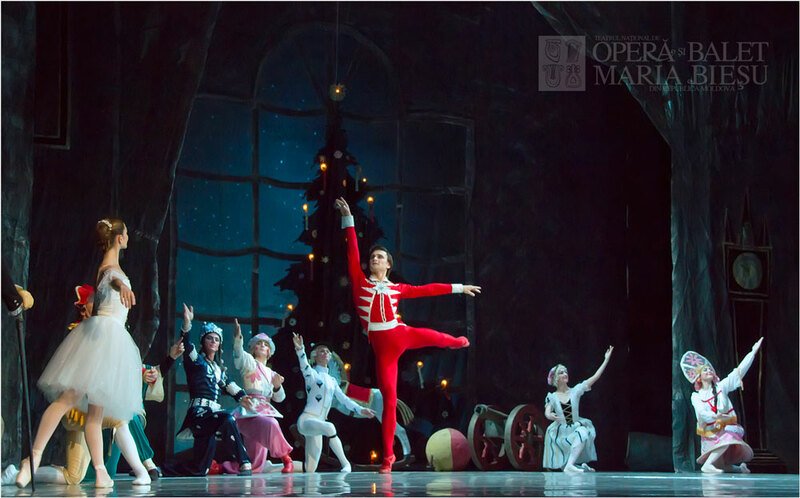 Then a miracle happens: before Marie's eyes, Nutcracker turns into a handsome Prince. The walls of the house disappear. Marie and her friends find themselves under a sky, lit by stars from the Christmas tree. Snowflakes dance in the air, while Marie and the Prince are drawn towards the beautiful star at the top of the Christmas tree. They get into a boat and head towards the star, followed by the dolls. Marie and Prince Nutcracker are flying in their magical boat to the Kingdom of the Christmas Trees, still followed by their friends, the dolls. The shining star seems to be getting closer. They have almost reached the top, when suddenly they are attacked by the Mouse King and his Army. Prince Nutcracker fights them. 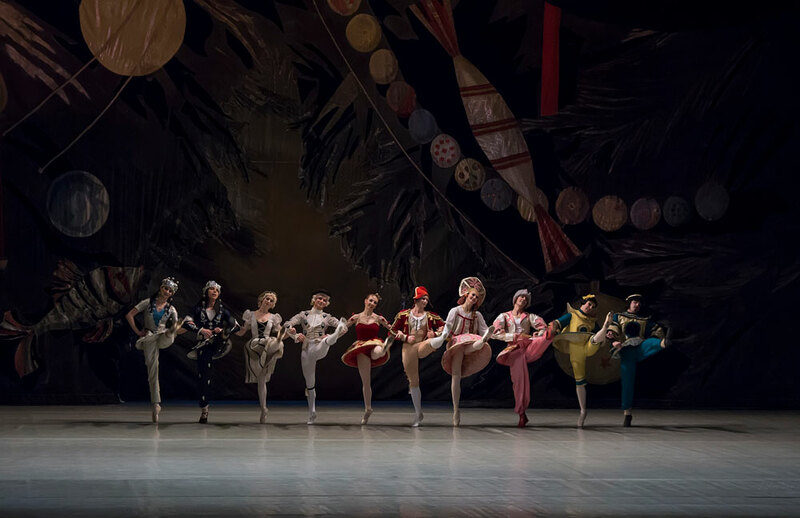 Marie and her friends watch, horrified, but Nutcracker wins again. Victory is celebrated and the dolls perform their dances in turn. The light from the candles becomes brighter, the Christmas tree comes to life and the mice are destroyed. Now at last Marie and Prince Nutcracker are happy, for they have reached the Land of their Dreams. But that's what it is: just a dream. Christmas is over and all the wonderful fantasies disappear. Marie wakes up. She is sitting at home by the Christmas tree, with the Nutcracker doll on her lap. after Alexandre Dumas's version of "The Nutcracker and the Mouse King"
World Premiere: December 6, 1892, at Mariinski Theatre, Saint Petersburg. Premiere in Chisinau: December 31, 1977, at Moldavian State Theatre of Opera and Ballet. 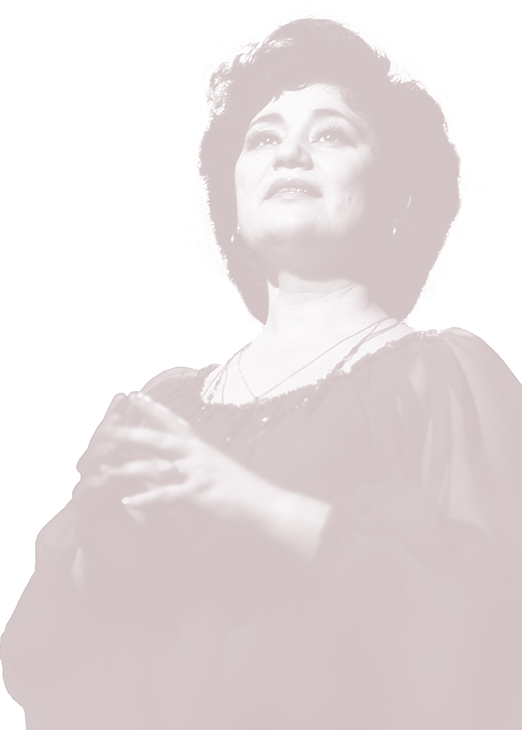 Premiere of the last version: February 20, 1998, at National Opera, Republic of Moldova. Tickets can be purchased directly at the theater ticket desk or via www.iticket.md. Please check the ticket information at the time of purchase. The ticket may be changed or returned only in exceptional cases. TNOB Maria Biesu reserves the right to mention the cases and the way of returning the money. The reimbursement conditions are as follows: postponement or cancellation of the show, inappropriate public information on the official website or on the Facebook account of TNOB Maria Biesu. Missing viewing a show due to failure to show at the time indicated on the ticket does not entitle you to return the cost of the ticket, or to use it for a later performance. Please note that after the beginning of the show access to the show will be allowed only within the limits of the free places on the balcony. During the intermission you will be able to take the seats on the ticket.